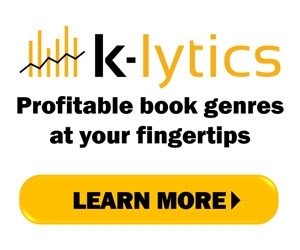 Why Is Publishing A Book Scary? 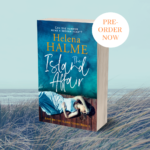 It’s only two days until my latest book, The Island Affair, is published. Although I’ve had some very good reviews from early readers, why is publishing a book still so scary? I am an author of eight novels, so I’m not a novice. But my next book is one that I’ve been wanting to write for a long time. It tells the story of Finnish journalist Alicia and British surgeon Liam who have lost their 17-year-old son in a motorcycle accident. They struggle to share their grief and try to mend their marriage by taking a holiday to the Åland Islands in Scandinavia, where Alicia grew up. But once there, their relationship breaks down and Alicia finds herself seduced by a Swedish reporter with the bluest eyes she’s ever seen in a man. The central theme of the novel is grief and how to overcome the loss of a child. This has always been my biggest fear as a mother, which is why (macabrely, you may say) I’ve wanted to explore this subject. However, I’ve felt afraid to do so. What if the Universe punishes me for exploiting a misfortune and it becomes a self-fulfilling prophecy? 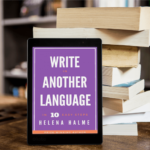 I’m not superstitious, but as a writer, you live with (and through) your characters to such an extent, that sometimes I feel as if what I have imagined and transferred onto the page has actually happened – or will happen. 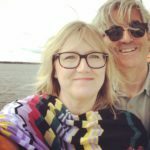 Now a grandmother, I feel a little ‘safer’ to write about grief over a child, but should I do this when I haven’t personally experienced such a terrible loss? What if I offend those in such an unimaginable situation? On the other hand, isn’t it the role of the author to explore difficult issues and to describe the human condition in its many forms? Those who write thrillers have rarely committed murder, yet they can imagine themselves in the mind of a killer. I know I may be overreacting, but writing and publishing your work is scary on so many levels. At least the early readers have liked the book. Here’s a comment from the 1st day of The Island Affair Blog Tour. I loved many things about this story, but what I liked the most was the setting. I think the author captured the Nordic islands perfectly. Even if I’ve never been there myself, the whole time I was reading The Island Affair I had a feeling I was somewhere else. Wish me luck with the Universe. And let’s hope my readers will like (or even love?) The Island Affair. 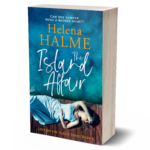 The Island Affair is published by Newhurst Press and will be available in various online stores and in paperback 21 March 2019. The ebook version can now be pre-ordered for just 99¢ (99p). This offer ends on the day of publication.